LATAM Airlines Group has announced that it will offer non-stop flights between Santiago and Quito, Ecuador, starting from April next year. The airline group will operate four non-stop flights per week using the latest generation Airbus A320neo aircraft, with capacity for 174 passengers. “As part of our commitment to improving connectivity in Latin America, we look forward to offering our passengers this new non-stop service, which will reduce journey times and open new travel, tourism and business possibilities. “Over the past three years, we have launched an historic 67 routes, further strengthening our unrivalled network in the region and bringing South America closer to the world,” said Enrique Cueto, chief executive of LATAM Airlines Group. 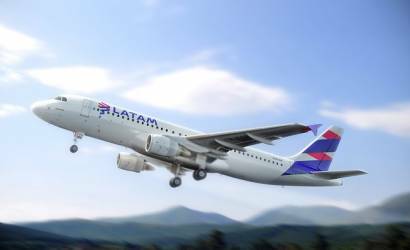 LATAM Airlines Group flight LA548 (Santiago-Quito) will depart from Santiago’s Arturo Merino Benitez airport on Monday, Wednesday, Friday and Sunday at 06:00, arriving in Quito at 09:00. The return flight (LA549) will operate on the same days and depart from Mariscal Sucre International Airport at 09:55, arriving in Santiago at 16:55 (all times local). With an outbound and return flight time of five hours, the non-stop service will reduce travel times between the capital cities by more than two hours, 30 minutes. The route will complement LATAM’s daily non-stop service between Santiago and Guayaquil, increasing its seat capacity between Chile and Ecuador by 72,500 seats annually, equivalent to 62 per cent growth. From Quito, LATAM offers domestic connections to Guayaquil, Cuenca and the Galapagos islands.